A few weeks ago, I picked up a tube of Magic Snow. I have never seen this before but I thought it might be a nice Christmas play idea. It comes as a powder in a test tube shaped container and when you add water to it, it expands to 100 times its original size to look like snow. 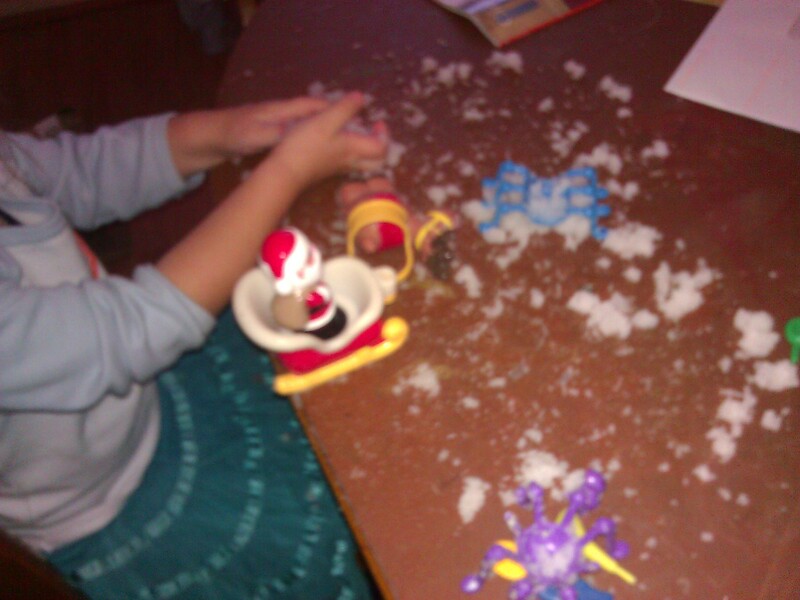 You get all the fun of playing with ice and snow but it doesn’t melt or feel too cold on little fingers. 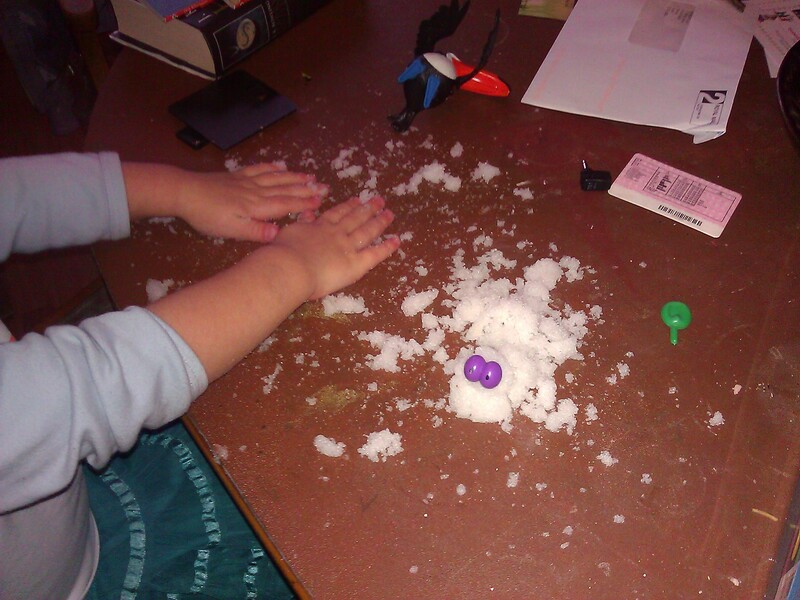 We tried to mould a snowman and make models with the snow. 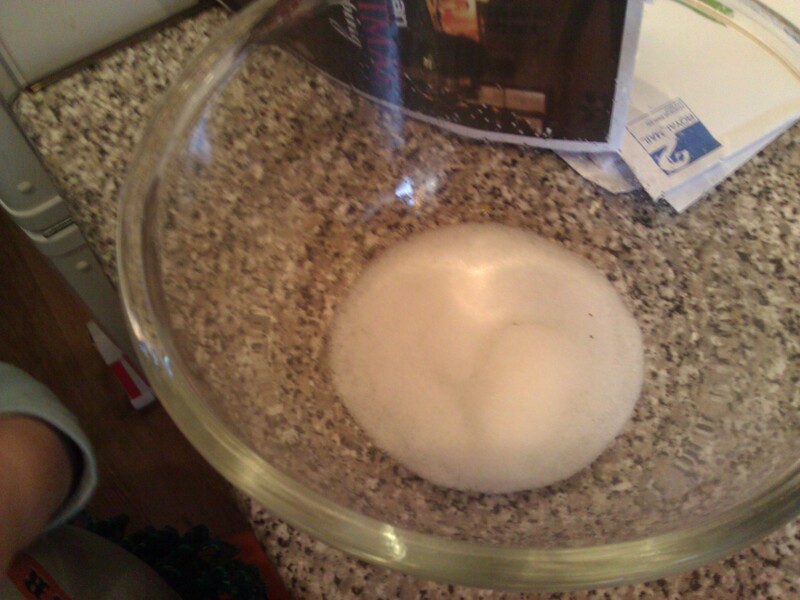 The snow was a big hit but was gradually creeping onto the floor and getting a bit slippery, so I suggested we put the snow in a tray. 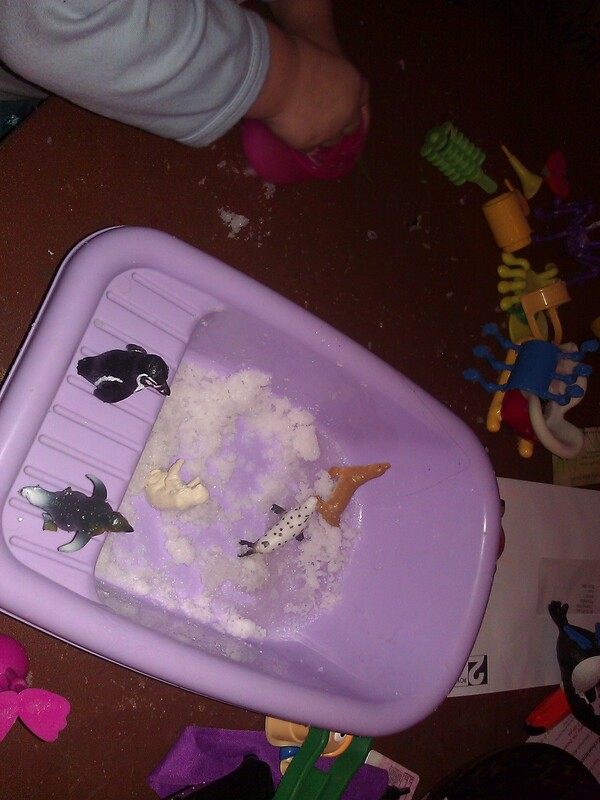 We found some snow animals and the penguins slid around on the ice. 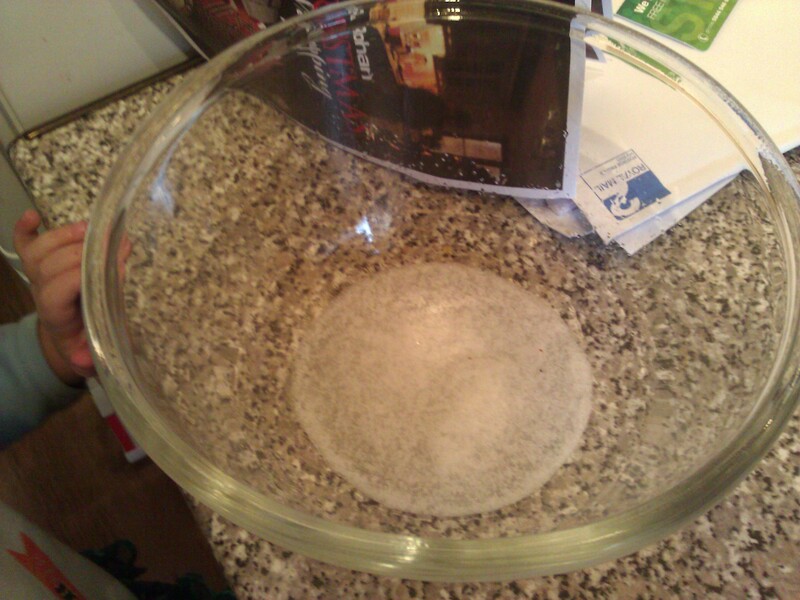 We went out and left the snow in the tray for a few hours, it showed no signs of drying up during this time so I am hoping that we will get a few days play from this batch. 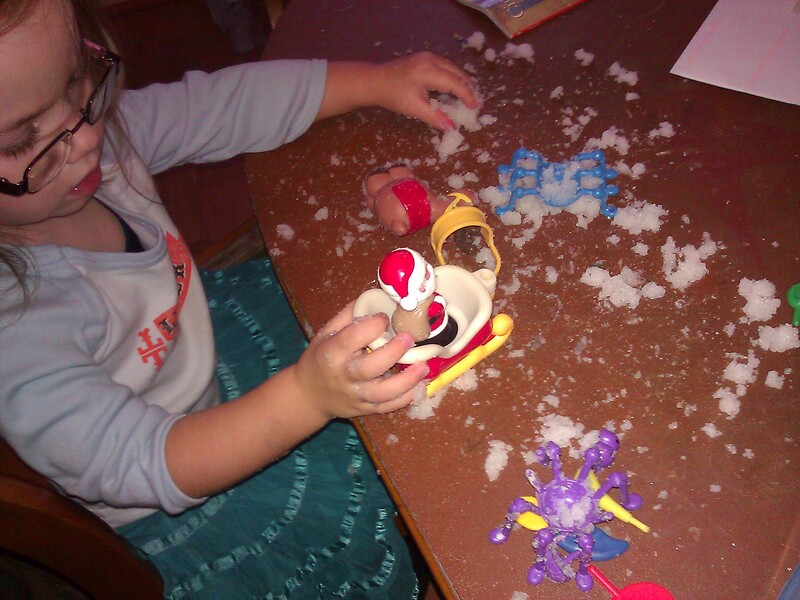 Magic snow is a big hit with my 3 year old who loves messy, tactile things and I’m sure it is an activity she will return to regularly in the lead up to Christmas.